Still on vacation, Ashley and Bryce get even more suspicious when their cabin is broken into. Bryce's video camera was the only thing stolen. He had some very informative footage to share with the police. Will he ever recover the files? To make matters worse, a boy is bullying Bryce. Can he ever catch a break? The thief--or thieves--of the golden nugget are proving to be elusive in Ashley and Bryce's investigation. Until one day they uncover something that leads to a dangerous car chase. Will they be able to reach the bandits? Sam never wants to reveal much about his past, which Ashley and Bryce think is odd. What is he hiding? Will they get to the bottom of the real culprits of the golden nugget case before their vacation is over? Bryce makes a realization of his own in his interaction with Boo. 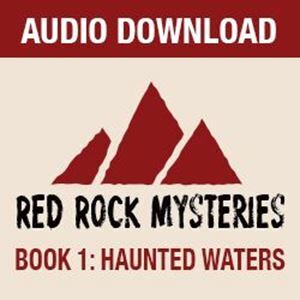 Find out more in this final episode of Haunted Waters.